One of the things that every family needs is a great dentist. Design Dental offers you a quality service manned by a great team of people to take care of your pearly whites. We provide you with guilt-free services. With us, you will never get a lecture about your dental care to make you feel guilty. Instead, we will work with you to rectify any ill effects of poor care and create a smile that many will envy. Dentistry has had a bad reputation over the years in that people have associated dental care with pain. We are a dentist Heckenberg that does all in our power to ensure that you have a pain-free experience. In fact, we even offer ‘sleep dentistry’ if that is the only way we can keep you comfortable. We have a wonderful team working with us and you can rest assured that you will be in the best hands. 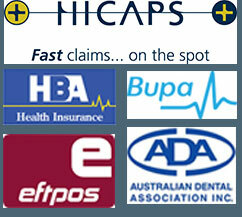 Our dentists are all licensed professionals in their particular fields with many years of experience. Our dental assistants have also undergone thorough training and are also licensed. As such, you can be at peace knowing that you are in good hands. As a dentist Heckenberg who has our clients in mind, we not only offer a quality service, but a service that is also affordable. We have great rates for the whole family and also accept a myriad of insurance plans to ease the burden of cost. One of the things you will love about our service is the fact that we offer a wide variety of services under one roof. Our state-of-the-art laboratory is also available to fabricate dentures, bridges and crowns as needed so that you can have all of it done in one visit. Additionally, we are able to make any adjustments, relines and repairs as needed.